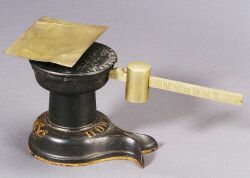 Early Howe's Patent Postal Scale, by the Brandon Mfg. Co., Brandon, Vermont, No. 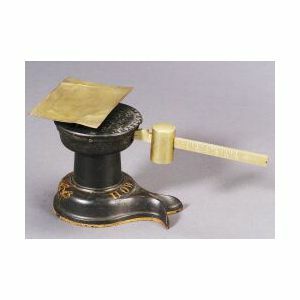 329, with brass arm, sliding poise and pan marked Howe's Design Patented June 16 1867, wd. 10 in. The latter Howe Scale Co. moved to Rutland, Vermont in 1877.